Entry Fee: $30. Light Chasers are eligible for special pricing offered in our MEMBERS PACKAGE. Click here for more information. No refunds after January 15, 2019. Judging: Prizes will be awarded during the Opening Festivities on Saturday, February 23, 2019 at 7 pm. Drop Off: Artists may select ONE painting to be juried and hung in the show. Drop off is Thursday, February 21 at the Edson Keith Mansion at Phillippi Estate Park from 9 am to Noon. Late paintings will not be accepted. Pick up: Monday, February 25th at the Edson Keith Mansion at Phillippi Estate Park from 9 am to Noon. If you cannot drop off or pick up, please ask another artist for help. Light Chaser Board Members will not be available for drop off or pick up for artists. 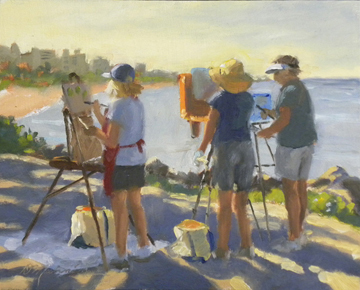 Eligibility: The Paint Sarasota Paint Out is open for all artists 18 years of age or older. Stamping: All artists must check in at the Gazebo on Thursday, February 14th to get surfaces stamped. Extra stamping will be done Monday morning from 9-10 am. Artists may have as many surfaces stamped as they want! If you cannot make it on Thursday, you may have surfaces brought in to be stamped by another artist. Cost: Registration for the Paint Sarasota Paint Out is $30. No refunds after January 1, 2019. Payments may be made by check or credit card which is selected when registering. 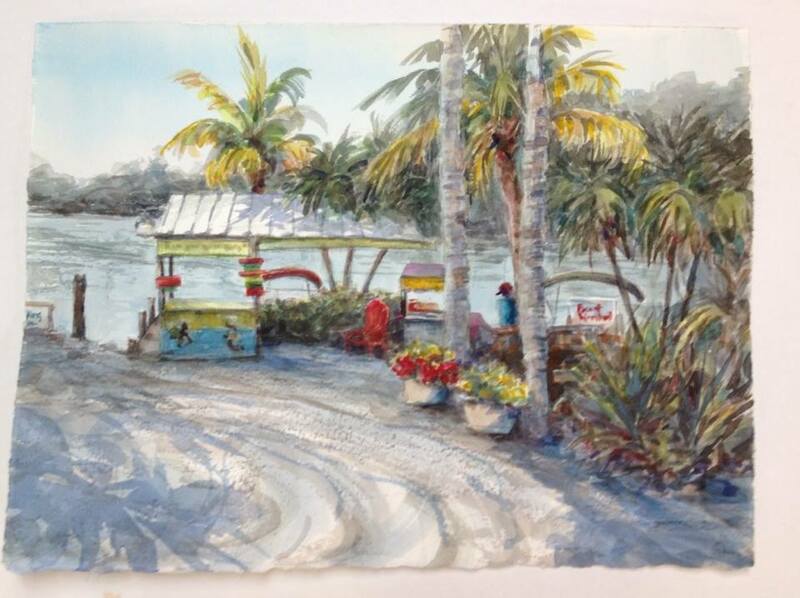 Where to Paint: Artists may paint anywhere in Sarasota County. You can see the borders here. Sarasota County includes Bee Ridge, Englewood, Gulf Gate Estates, Laurel, Nokomis, Northport, North Sarasota, Osprey, Sarasota, Sarasota Springs, Siesta Key, Southgate, South Venice, The Meadows, Vamo, Venice and Warm Mineral Springs. We have DESIGNATED SPOTS FOR PAINTING EACH DAY. 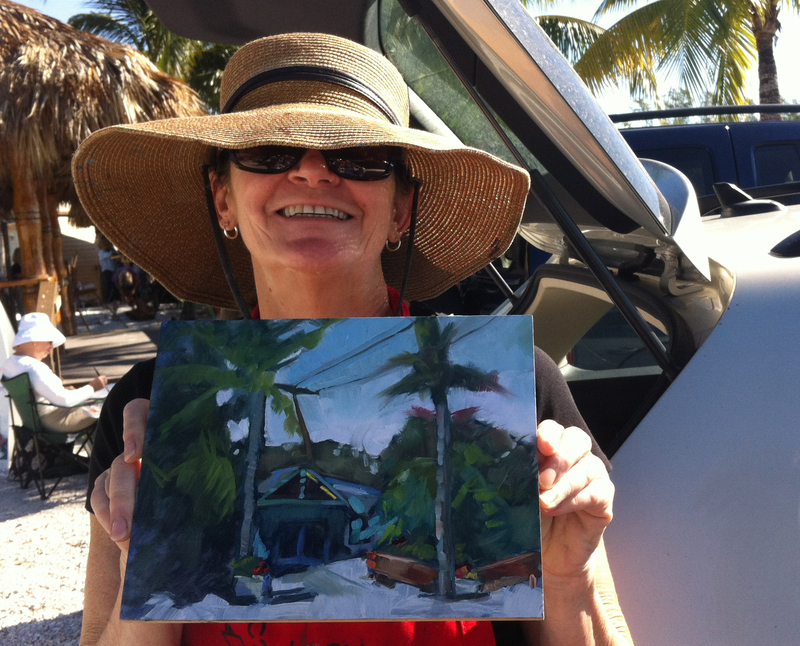 Artists can paint anywhere in Sarasota County. If you want to be near other artists and potential buyers you will want to paint in the daily designated areas. Designated Paint Out painting spots and days will be announced in the February 10th weekly email. Mediums and Sizes: Oil, pastel, acrylic, watercolor, pencils, and markers are all acceptable. Electronic painting or photography is not accepted. Any other medium must be approved by Mary Ann Ellicott before January 15, 2019. There are size limitations as we are hanging three shows in the mansion. The largest painting surface allowed is 12 inches x 16 inches. This does not include the frame. The only exception will be for watercolorists. We will accept ¼ sheet painting or 12x16. There are no exceptions this year. Juror: Our juror is Susan Foster. Awards will be announced at the Opening Festivites on Saturday, February 23 at 7 pm. Artwork: Paintings considered for awards must be on stamped surfaces and completed during the Paint Sarasota Paint Out! Paint Out Paintings are exhibited on tables. Please bring your table easel to drop off. Make sure you have your full name and email address on this easel. You can purchase table easels at most art stores in metal or wood for $8-$25. Please bring one that is no taller than 25" and no wider than 18 ". Pick up for easels when you pick up any unsold art work. Labels: Every painting submitted needs a TRACKING LABEL. Please bring this with you when you drop off your painting. If needed blank labels will be available on drop off day. Be careful and precise when filling out these labels because they are used to make the cards that appear with your painting at the show. Click here for a printable copy the tracking label. Each label consists of 3 parts. Sale: All works must be for sale. Artists receive 70% of the sale and 30% goes to the restoration of the Keith Farmhouse at Phillippi Estate Park. Off easel selling is not permitted. Artists who sell work off easel will be banned from future paint out events. 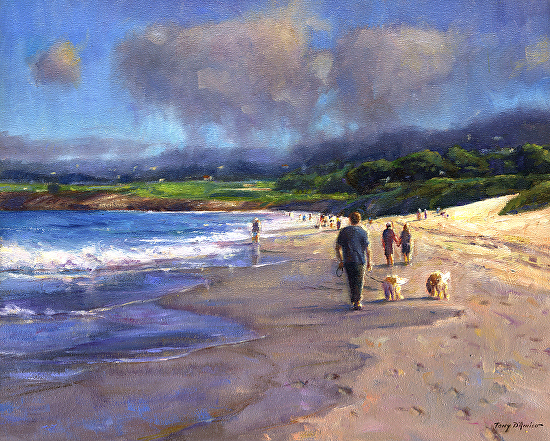 If someone wants to buy your painting they can “reserve” it by contacting Mary Ann Ellicott at info@lightchasrsinc.com. A painting that is bought before jurying starts will still be eligible for prizes. During the Opening Festivities, Light Chasers handle sales. We subtract the credit card fee, if that is how your buyer pays, from your total. Artists receive payment within 30 days. Show Drop Off: Artists may submit one painting from the paint out for the jury awards. Drop off is at the Edson Keith Mansion on Thursday, February 21st from 9 am to Noon. Late paintings will not be accepted. You can have another artist drop off your work. Food and Housing: We do not provide housing or meals. Restrooms are available at Phillippi Creek near the gazebo throughout the paint out. Officers can choose not to accept any painting that does not meet requirements. There will be a table available to fix framing problems on Thursday, February 21st, drop off day. You need to provide your frame, wire and tools. Pick Up: Unsold artwork must be picked up on Monday, February 25th between 9 AM and Noon at the Edson Keith Mansion. Any art work that is not picked up will be taken home by Light Chaser member. There is a $5 fee for each day that the work is not picked up. Light Chaser Boards Members will not mail or drop off your work or bring it to the field. You must make an appointment with the member storing you painting and pay your fine before you can pick up your painting. You can ask a friend or another artist to pick up your work. They will sign for it at pick up. If you know you cannot pick up your painting, please arrange for someone to pick it up. Light Chaser Board Members cannot be responsible for dropping off or picking up your paintings. Liability: All Paint Sarasota Paint Out entries are submitted/left at the owner’s risk. Although precautions are taken, Phillippi Estate Park and Light Chasers are not responsible for damage or theft of paintings or frames for paintings in the Paint Out. Submission of work constitutes an agreement on the part of the artist to the provisions here set forth. Use of Images: Any artist participating in the Paint Out consents to the use of his/her name and the artist’s image(s) for purposes or promotion and advertisement by The Light Chasers. The artist waives any claim, including any claim for invasion of the right to of privacy or copyright against The Light Chasers, their directors, officers, employees and agents. Good luck, happy painting, and have fun.